Well it’s winter time but up until a few weeks ago it didn’t really seem like it. Low snow pack everywhere and resorts struggling to stay open. They are lucky they have snow making! 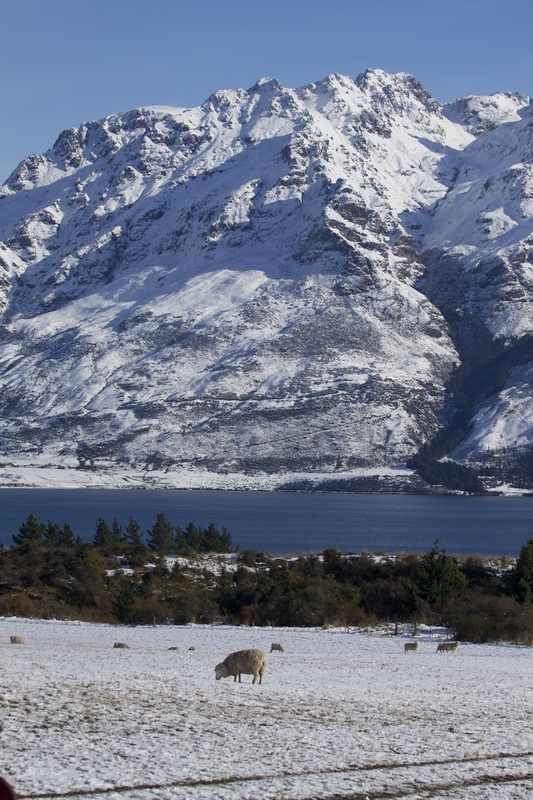 Where else could you be but New Zealand? 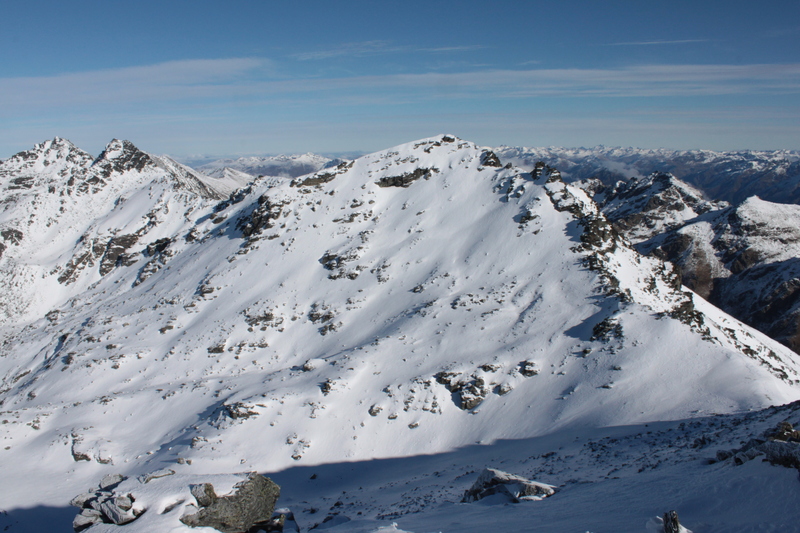 My first day of the season was spent riding deep snow at coronet peak in the middle of may. 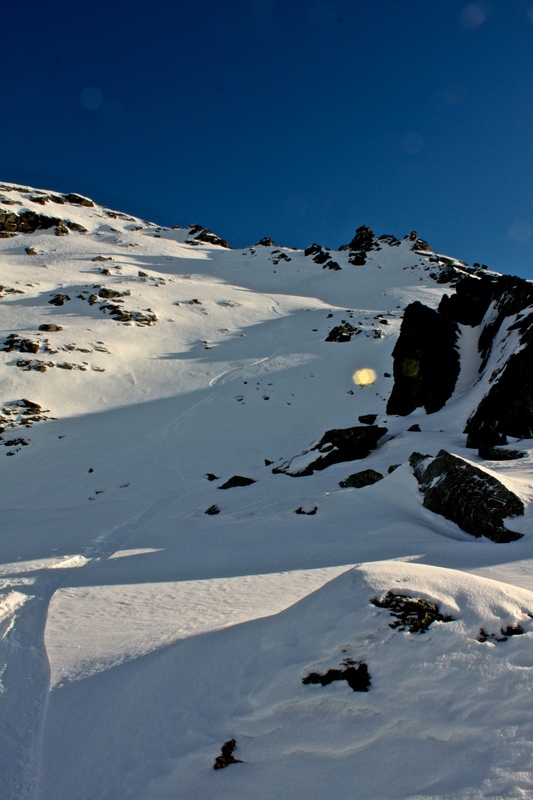 There wasnt much snow around until the middle of june to ride anything mildly interesting but I spent one bluebird weekend riding some of the in bounds steeps at The Remarkables ski area. Usually an easy access option while riding lifts, the low snow pack and classic new Zealand “Sharks” (Super sharp exposed rocks) went to town on my base whilst looking for rideable patches of snow. A week later and still no more new snow I decided to go for one of the highest points on The Remarkables, Single Cone 2319m. 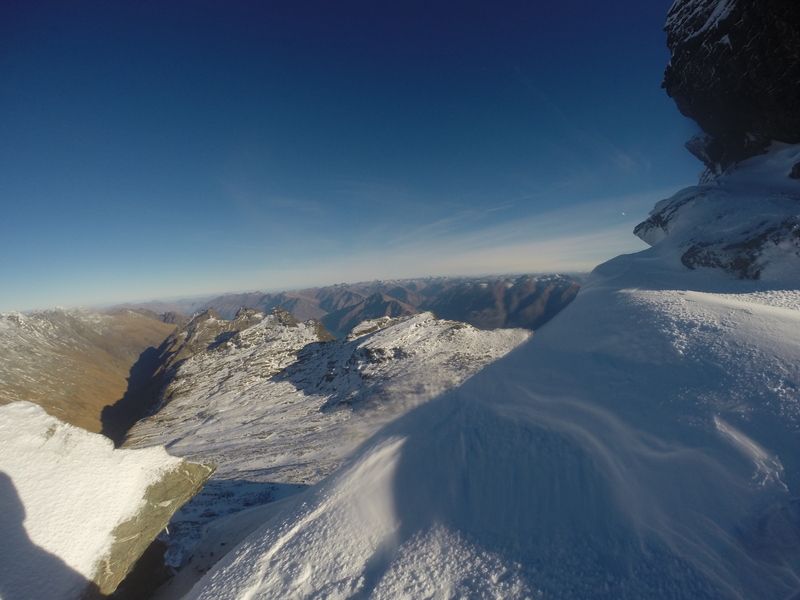 I made it up to about 2200m before descending down snow filled gullies for some nice but not spectacular turns. Finally we got a wee bit more snow. 15cm fell and it was straight out and down Wye Creek for some nice turns! I headed out with a Visiting seasonal worker to show him some of the terrain on offer. The snow cover still wasn’t great but I had a good idea where it might be and my hunch paid off! A Small bowl at the end of the Upper Wye Creek area had been loaded by the wind and offered some nice low angle turns. Stability seemed ok so we dropped in to the Doolans down a nice steeper pitch, the snow wasnt as good but it was fun to get on something a bit steeper. Another week and still nothing in the way of snow. I decided to have a look at an area I had visited in summer to see how it was filling in. Not expecting much in the way of decent riding but just to get out and enjoy the mountains. After passing a helicopter and a whole crew of photographers on an L.L Bean photo shoot I changed over and skinned for an hour or so before snow turned to rocks and it was easier to walk. After almost an hour I came into view of the “Other Doolans” Doolans Creek right Branch. 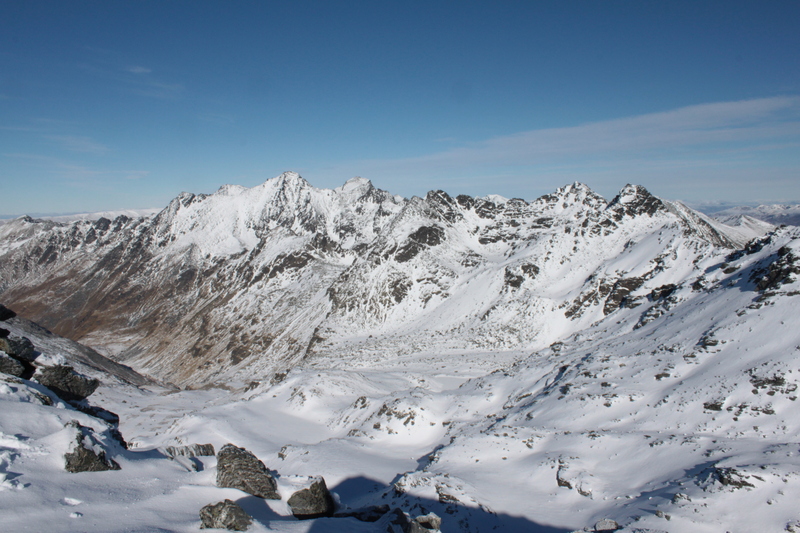 Some of the biggest peaks of The Remarkables/Hector Mountains are at the southern end of this catchment. The snow line was super high but the coverage was better than closer to the ski area. 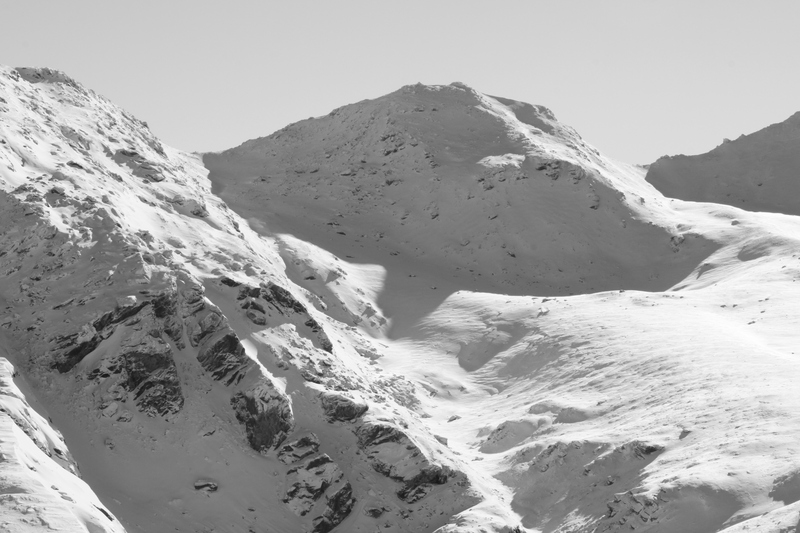 However my attention was turned towards an unnamed peaked 2122, and a beautiful east facing slope with great snow cover. 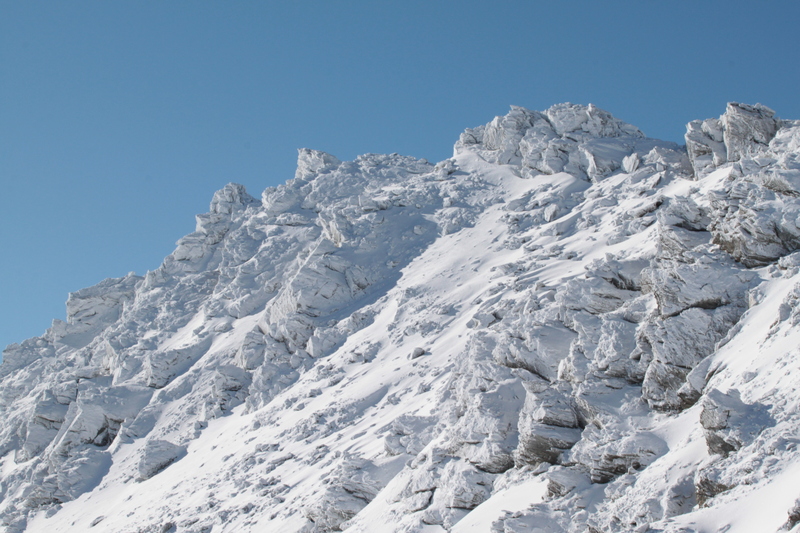 With limited snow it was a hard approach and with a long trip back to the car I made it about 20m away from the summit. I dropped in to a soft, freeze-dried surface of about 10cm on top of a hard crust. It was such a rewarding ride travelling a long distance and riding a peak I had been eyeing on maps during a long hot summer. 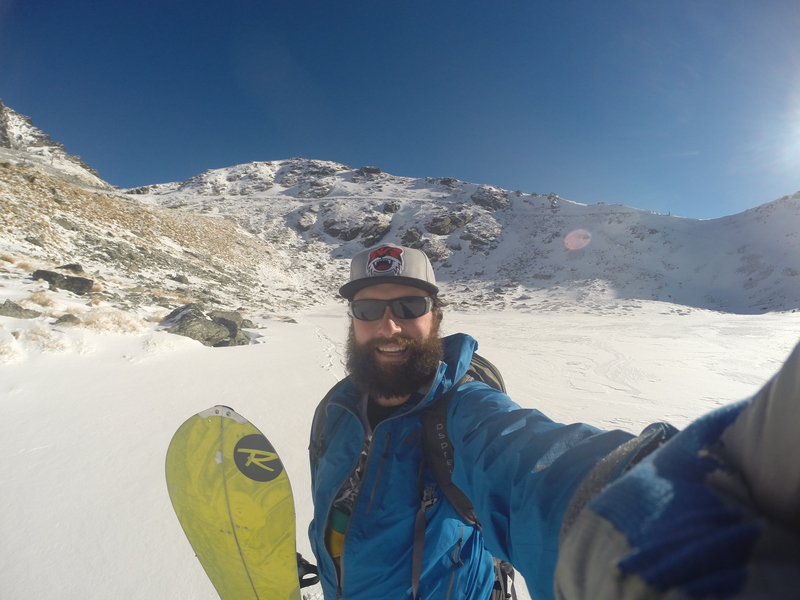 This entry was posted in Trip Reports and tagged adventure, backcountry, mountains, nature, new zealand, outdoors, powder, queenstown, Remarkables, ski touring, snowboard, Snowboarding, splitboard, splitboarding, wakatipu, Winter, Wye Creek by splitboardnz. Bookmark the permalink.